Individuals who follow Life Path 7 or the detectives and researchers of the world. They have natural talents for investigation, observation and the ability to analyze every scrap of information they find out. They are cerebral and intelligent with the ability to figure out any situation correctly within a short time. These people may be considered perfectionists, who often expect the same level of performance from others around them. This is rarely a problem due to Life Path 7 people being genuinely affectionate and peace loving. Your ability to find dedicated friends is high because your intellect and observation skills allow you to recognize liars and fakers quickly. You may not have a lot of friends, but those you do are close and usually last for a lifetime. While Life Path 7 people are often charming and witty, which attracts many others to them, they tend to have a wall that will not let just anyone through. This is not a matter of being aloof, but instead a protection against any insecure feelings you might harbor. Instead of a social butterfly who flies quickly into social situations, you tend to hang back and assess the situation before getting close. Naturally introverted in most cases, you are not eager to join organizations and groups. Some may consider you socially old-fashioned as you prefer a less rushed way of interacting with people. You value quiet time and have no problem being alone. These are the times spend reading, studying or researching and increase your intellect and knowledge base. 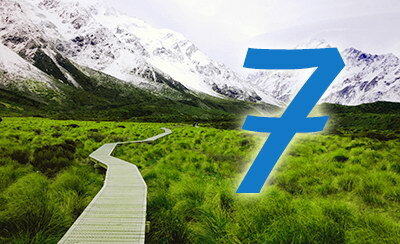 To others, people on Life Path 7 can appear standoffish or aloof. These qualities can descend into secretiveness or pessimistic attitudes if you struggle with social interaction unduly. Some have more negative traits because they focus too much on intellect and not enough on empathy. Negative attitudes can be difficult to overcome and these people can end up seeming spoiled or self-important. Many prefer to live alone and may find it difficult to invite others into their lives. The attitude that you are entitled to something great or the world treats you unfairly can be difficult to overcome.